The original Parramatta Railway Station (1855), Mort Street, Granville. Although the site was excavated in 1994 and 1995, the Parramatta Railway Station, constructed in 1855, still continues to contribute to our understanding of the development of railways in New South Wales. The speed of development and of the transfer of technology to Australia is quite phenomenal, a mere twenty-six years. Richard Trevithick, the well known Cornish inventor and mining engineer (1791-1833), designed and built the first railway steam locomotive in 1802. It carried a load of 10 tons on the Merthyr Tydfil Tramroad of the Pen-y-darren Ironworks in 1804. With the near completion of the Liverpool to Manchester Railway, the proprietors ran the Rainhill Trials in 1829, where George Stephenson's "Rocket" won the day to provide locomotive power for the first commercial passenger railway. Railway Mania followed, with major railway construction in Britain between 1836-1837 and then 1844-1848. Twenty-six years after the Rainhill Trials, the Sydney to Parramatta railway opened on 26 September 1855, the anniversary of the opening of the Liverpool to Manchester line. The stations were Sydney, Newtown, Ashfield, Burwood, Homebush and Parramatta. The line was duplicated on 1 June 1856. Parramatta did not remain the terminus for long as the line was extended to Liverpool on 26 September 1856. The original station closed with the opening of the Western Line on 4 July 1860, replaced by a more convenient location for the station in the centre of the Parramatta CBD. 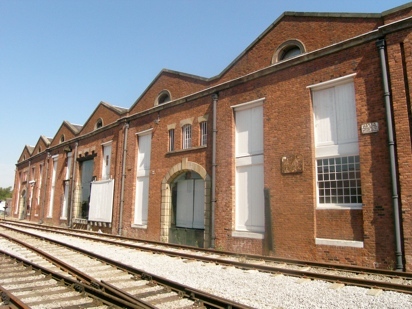 That is until we realise that the same feature, including siding, turntable and goods platforms, is present on the earliest railway goods shed or warehouse, constructed in the 1830s and still standing at Manchester in the UK. The Liverpool Road Railway Station opened in 1830, but was replaced by Manchester Victoria Station in 1844. The original station is now the Museum of Science and Industry. The right-angled siding was a feature borrowed from earlier canal navigation in the UK, where it was more economical on space to have barges use docks protruding from the sides of a canal. 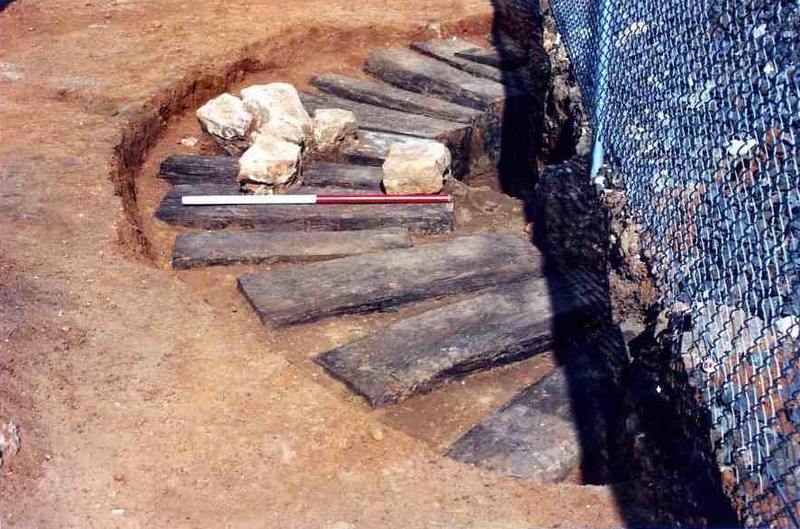 The railway engineers also borrowed the stone wharf and platform at wagon floor height from the same source. Try to pick the site of the first Parramatta Terminus of 1855, when you travel by train between Granville and Liverpool or Liverpool to Parramatta, just to the east of Woodville Road. Michael R. Bailey & John P. Glithero. The Stephenson's Rocket. A History of a pioneering locomotive. National Railway Museum, York. Derry Brabbs. England's Heritage. English Heritage. 2001. p. 304. Articles on Richard Trevithick, Pen-y-darren and Rainhill Trials, in Wikipedia. Edward Higginbotham & Associates Pty Ltd. Report on the archaeological test-excavation of the site of the 1855 Parramatta Railway Terminus, Mort Street, Granville, N.S.W. State Rail Authority, N.S.W. 1994. Edward Higginbotham & Associates Pty Ltd. Report on the Stage 2 archaeological excavation of the site of the 1855 Parramatta Railway Terminus, Mort Street, Granville, N.S.W. SRA. 1995. Edward Higginbotham & Associates Pty Ltd. Report on the archaeological monitoring programme of the site of the 1855 Parramatta Railway Terminus, Mort Street, Granville, N.S.W. SRA. 1995. 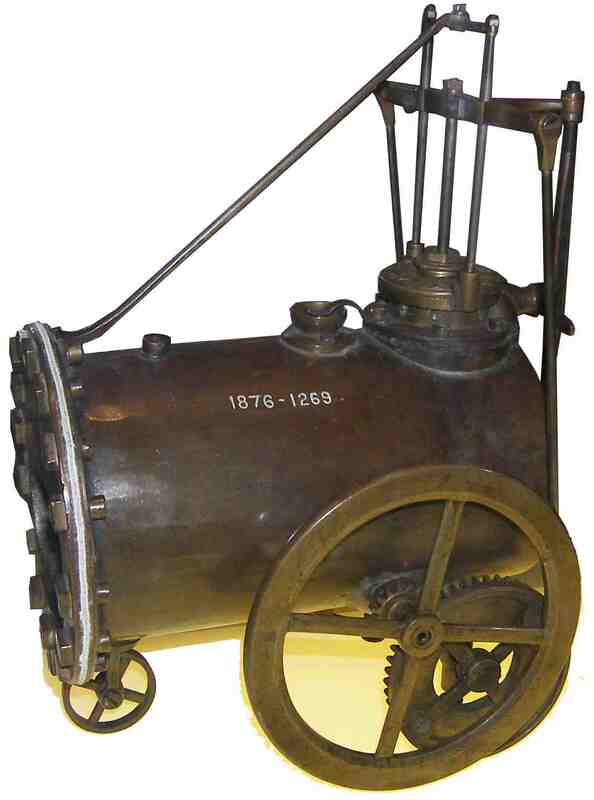 His working model of a locomotive, 1797, inspired Trevithick to produce the first railway locomotive (Science Museum,	Kensington, London). 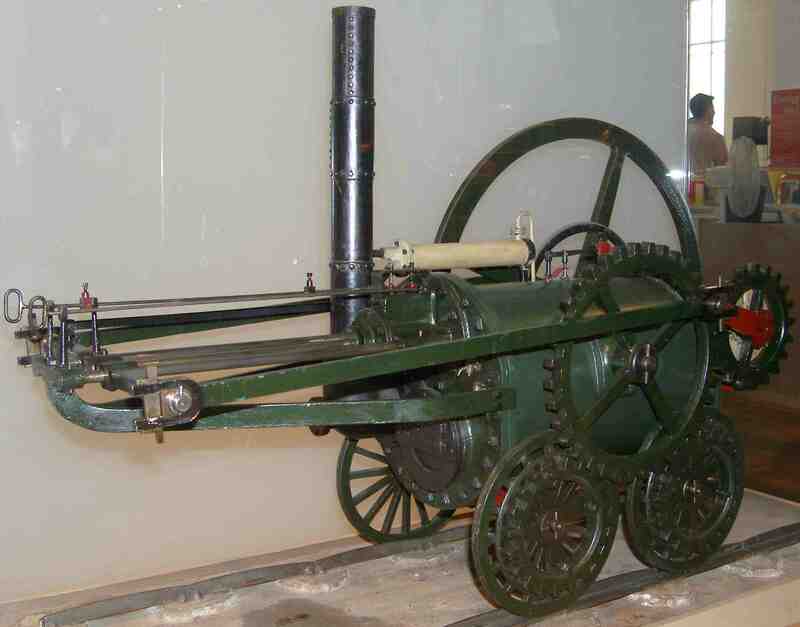 Working models of Trevithick’s engine are popular in the UK. 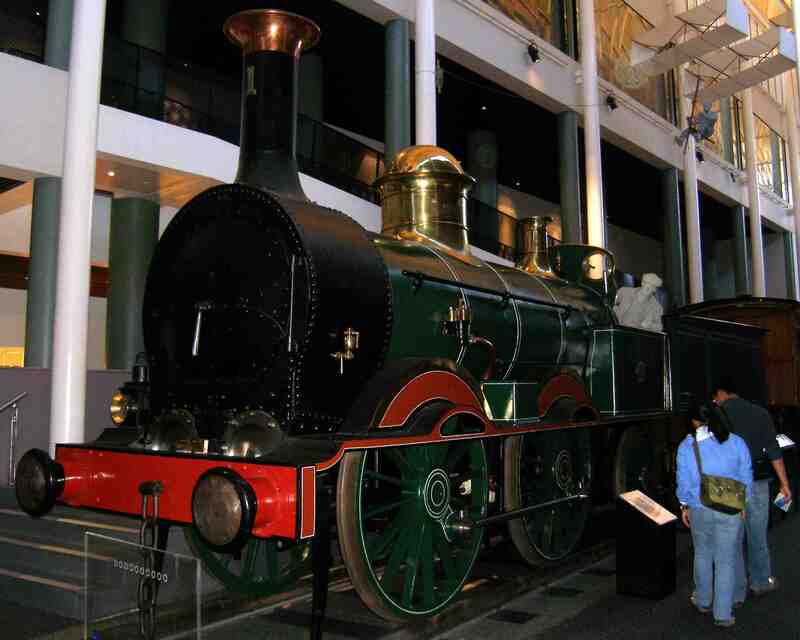 This one is at the Science Museum, while others are at Ironbridge, Shropshire and Telford Central Station, Shropshire. The Powerhouse Museum in Sydney also has a model (Science Museum, Kensington, London). 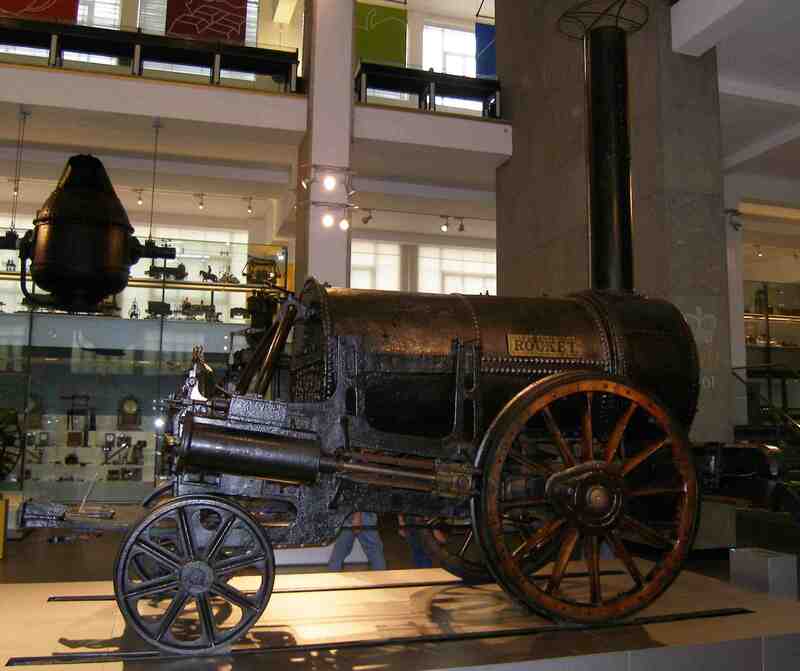 George Stephenson’s “Rocket”, 1829 (Science Museum, Kensington, London). Locomotive No. 1 powered the first train from Sydney to Parramatta on 26 September 1855. It is now a prize exhibit at the Powerhouse Museum, Sydney (Powerhouse Museum). The remains of the turntable at the western end of the original Parramatta railway station, excavated in 1994. The oldest railway goods shed, 1830s, Liverpool Road Station, Manchester. Originally turntables provided access to the loading bays within the arched doorways. Plan of the 1994 excavation of the Parramatta Railway Station, Mort Street, Granville.